There seems to be a pervasive belief from learning & development professionals that you can’t truly measure the impact of soft skills training, yet we see organizations live and die as a result of the poor quality of decisions, service, leadership and other “soft” behaviors. The hard skills of technical, product, IT or manufacturing training appear to be more straightforward and easy to measure using tangible data and business results. However, content such as leadership, communication, diversity and team-building appear to be less tangible and difficult to measure – but in reality, they should not be any different. What’s different is the questions you ask and the expectations for behavioral application. Measuring the ROI of soft skills is doable! At the end of the day, soft skills are what help us achieve success. Soft skills help us to build strong, agile and innovative organizations. 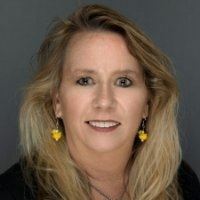 Dr. Maureen Orey, CPLP, is the Founder/President of the Workplace Learning & Performance Group (WLP Group), a boutique training & consulting firm based in San Diego, CA. Her mission is simple. To help individuals and organizations to be more resilient. She and her team do this through high impact consulting and facilitation to develop quality leaders, who improve communication, leverage diversity and implement solid processes to get measurable results. In 2017, Dr. Orey received the Dissertation of the Year award and was recognized by ATD for her doctoral study on the Career Benefits and ROI of Volunteer Leadership. She holds a Doctorate in Organizational Leadership, loves to travel and is the proud mother of three fabulous individuals.